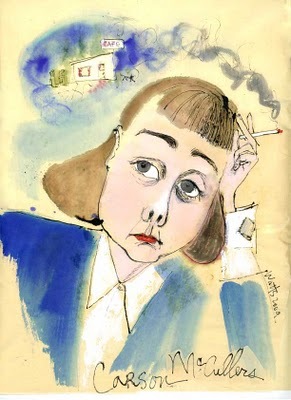 HomeArts & LitHappy Birthday to Carson McCullers! Happy Birthday to Carson McCullers! Sometimes overlooked and not as well known as Flannery O’Connor or Eudora Welty, Georgia author Carson McCullers deserves a day of recognition. Born Lula Carson Smith in Columbus on February 19, 1917, she began writing stories at age 15 when her father gave her a typewriter. She graduated from Columbus High School and left home to study piano at Julliard in New York City when she turned 17. That didn’t work out, and she instead pursued creative writing, publishing her first story “Wunderkind” in Story magazine in 1936. 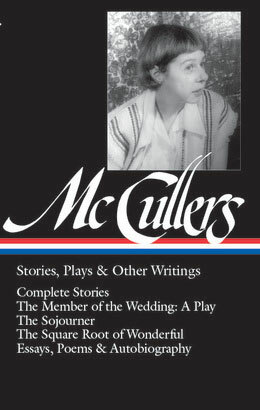 Between 1936-1937, McCullers divided her time between Columbus and New York and married fellow aspiring writer Reeves McCullers. They moved to Charlotte, North Carolina, where McCullers would write her first novel “The Heart is a Lonely Hunter.” She was only 23 years old and would go on to write seven more books, many short stories and a collection of poems. She thinks the shock value of O’Connor’s work and large canon of Welty’s stories may be the reason McCullers isn’t as well known. But then the center gets plenty of die-hard fans visiting each year to see original portraits of the author, rare editions of her work and that aforementioned typewriter. While McCullers’ may have more of a cult following, her work remains relevant and celebrated by those die hard fans today. 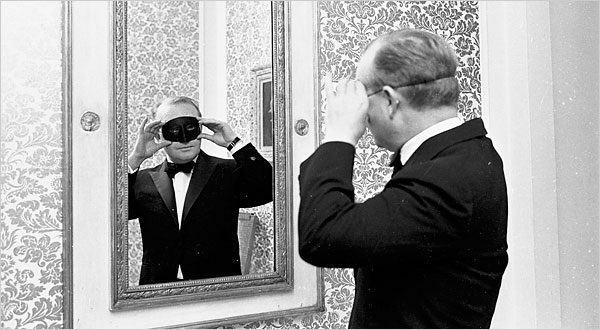 George points to last year’s off-Broadway production of “February House” about McCullers time in Brooklyn while living with W.H. Auden and Gypsy Rose Lee, as well as a Chicago play called “How Carson McCullers Saved My Life” as examples of how her work lives on. “Lonely Hunter,” a movie about McCullers’ life and friendship with Tennessee Williams, is in pre-production, according to IMDB, and scheduled for release later this year. George can testify that it’s never too late to discover McCullers. Her family is from Columbus and her great-uncle lives across the street from the McCullers Center, but since the author wasn’t taught in her graduate school classes, she hadn’t really read her. “I grew up visiting Columbus and seeing the sign, but I started reading her when I applied for the job,” she says. While the center and museum are open to the public by appointment, George suggests visiting when an event is planned. A special birthday celebration will be held starting at 5 p.m. tonight, and on Friday, a reading with author Mylene Dressler is scheduled for 7 p.m. The center is also participating in The Southern Literary Festival March 28-30, which will include workshops, writing competitions and free public readings. 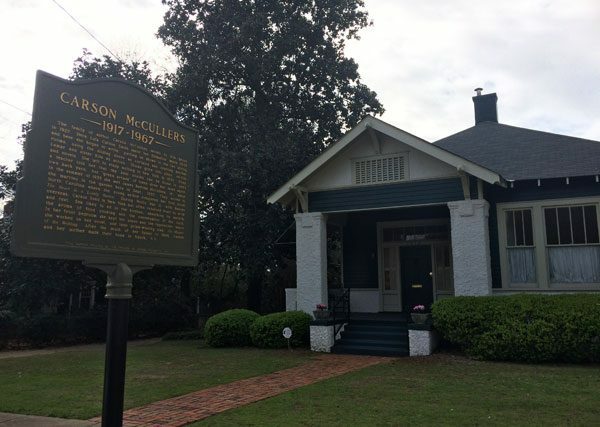 Portrait of McCullers by Sharon Watts and McCullers childhood home/museum courtesy of Carson McCullers Center. To find out more about the McCullers Center and museum, download the Deep South Literary Trail App.